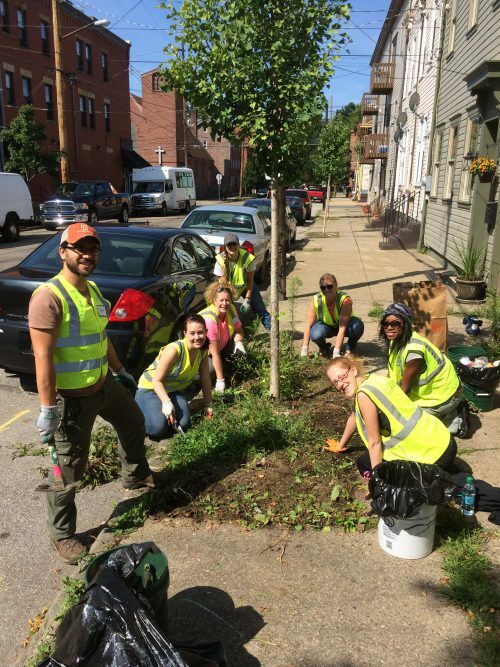 Join the Squir­rel Hill Tree Ten­ders and Tree Pitts­burgh as we care for new­ly plant­ed trees along Northum­ber­land Street in Squir­rel Hill! next gen­er­a­tion of urban trees! WHY: Because new­ly plant­ed trees need our care in their ear­ly years to ensure their health and longevi­ty! HOW: It’s easy! We’ll show you! Vol­un­teers under the age of 18 must have a par­ent or guardian with them at sign-in. **Tree Pitts­burgh will pro­vide all tools, equip­ment and safe­ty gear. Please dress for the ele­ments in clothes you don’t mind get­ting dirty.